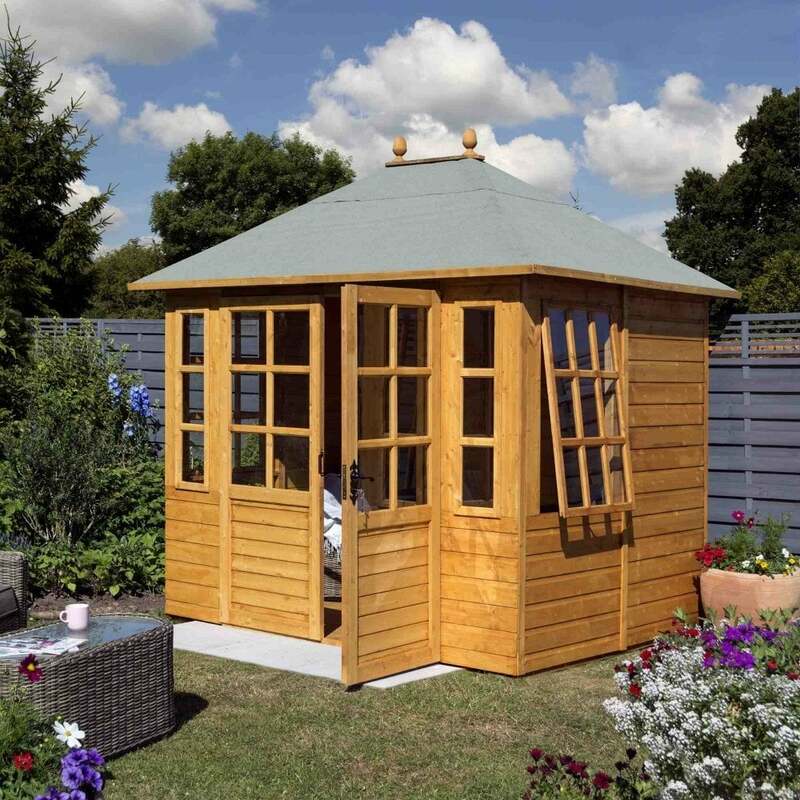 Rowlinson Clarendon Summer House: A classic Victorian summerhouse design which is the ideal addition to any garden with plenty of room for furniture and a generous roof height. Featuring a honey drown factory dipped finish, wide lockable double doors so that you can open up the front of the summer house to let the natural light flood in. This Rowlinson summer house also features toughened glass, solid board roof and tongue and groove floor. Showing 2 of our total 10 reviews, with an average rating of 5 stars. Read all 10 reviews for Rowlinson Clarendon Summer House with Lockable Double Doors. Review - We are delighted with the summer house. Instructions for putting it together were clear and all components complete. We have painted it blue. We are delighted with the summer house. Instructions for putting it together were clear and all components complete. We have painted it blue.